In this lecture Dave Trott will talk about his latest book One Plus One Equals Three that goes straight to the heart of the creative impulse. The book's collection of provocative anecdotes and thought experiments are designed to light a fire under your own creative ambitions. From tales of 18th century Japanese samurai, to classic battles between 'creatives' and 'suits' in the boardroom, these stories act as a rallying cry for individuals and businesses who want to think differently, stand out and challenge convention. 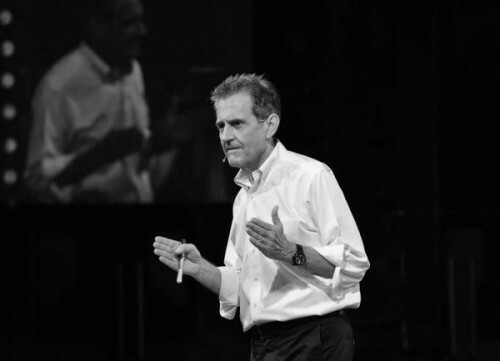 Dave Trott is also the author of Creative Mischief and Predatory Thinking. Dave founded three famous advertising agencies: Gold Greenlees Trott - Bainsfair Sharkey Trott - and Walsh Trott Chick Smith. Born in east London, he went to art school in New York on a Rockerfeller Scholarship. From there he began his career in advertising, as part of the creative team behind 'Hello Tosh Gotta Toshiba', 'Aristonandonandon', the Cadbury Flake ads and many, many more. Dave's agency - Gold Greenlees Trott - was voted Agency Of The Year by Campaign magazine, and Most Creative Agency In The World by Ad Age in New York.